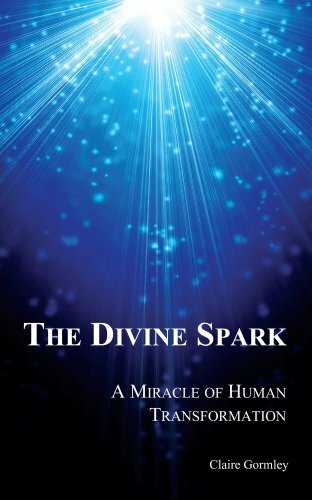 The Divine Spark is a remarkable new book by first-time writer, Claire Gormley, who left Ireland in the 1980's in the hope of escaping from a troubled past. In Istanbul in 1999, during one of her darkest moments, she experienced a phenomenal divine presence. It had a transforming effect on her life, which led her to finding a spiritual teacher and turning herself around in a miraculous journey. This is an inspiring story, which will give hope to those who are lost, suffering or feel they have no purpose in their lives, and those who are searching for something 'more'. The book also includes eleven wonderful stories of how other seekers of spirituality experienced the miracle of human transformation. A fascinating synthesis of ancient wisdom, modern medicine, scientific research, and personal experiences that proves that the human heart, not the brain, holds the secrets that link body, mind, and spirit. You know that the heart loves and feels, but did you know that the heart also thinks, remembers, communicates with other hearts, helps regulate immunity, and contains stored information that continually pulses through your body? In The Heart's Code, Dr. Paul Pearsall explains the theory and science behind energy cardiology, the emerging field that is uncovering one of the most significant medical, social, and spiritual discoveries of our time: The heart is more than just a pump. Melchizedek, a widely known and beloved spiritual teacher, shares his experiences of living in the sacred space within the heart. The author explains the processes and techniques he uses to enter this space and the profound joy it offers. Mindfulness : a practical guide to finding peace in a frantic world by Mark Williams and Danny Penman. Work-related stress is an all-too-common part of modern life. Many workers spend a lot of time either ruminating on previous problems or worrying about future work-related issues. By applying the principles of mindfulness--an ancient Buddhist practice--to our working lives, we can become aware of our habitual negative thoughts and behaviors and learn to recognize and manage the warning signs of stress. Mindfulness in eight weeks : the revolutionary eight-week Plan to clear your mind and calm your life by Michael Chaskalson. The miracle of mindfulness : the classic guide to meditation by the world's most revered master by Thich Nhat Hanh. Kahlil Gibran s masterpiece, "The Prophet, "is one of the most beloved spiritual classics of our time. It has sold millions of copies inmore than forty languages since it was first published in 1923. "The Prophet" contains powerful words of wisdom on such essential subjects as marriage, children, friendship, work, and pleasure words that readers from around the world have found inspirational and life-changing. A return to love : reflections on the principles of a course in miracles by Williamson, Marianne, 1952-. Taming the tiger : Tibetan teachings for improving daily life. by Rinpoche, Akong Tulku. TAMING THE TIGER is based on twenty years Buddhist teaching in the West and aims to help anyone seeking the truth about suffering and happiness. The first part of the book deals with topics such as Impermanence, The Right Motivation, Facing the Situation, Body, Speech and Mind, Compassion, and Mindfulness. The second part is devoted to exercises, meditations and relaxation techniques for body and mind, including Feeling, Openness, Taking Suffering, Bringing the Buddha to Life and Universal Compassion. DOES STRESS HAVE A GRIP ON YOUR BODY, MIND AND SPRIT? Whether it shows up as lower-back pain, insomnia, low-level anxiety, or just general malaise, tension can grip our lives and keep us from living up to our full potential. Dr. John Harvey has organized his relaxation techniques into five different categories to help you discover where your tension resides. Using a symptom checklist, you can match your symptoms against the five levels of relaxation - muscular, autonomic, emotional, mental, or spiritual - and learn the proven techniques that will guide you to a relaxed, tension-free state quickly and effectively. The way of paradox : spiritual life as taught by Meister Eckhart by Cyprian Smith. Celebration of discipline : the path to spiritual growth by Richard J. Foster. 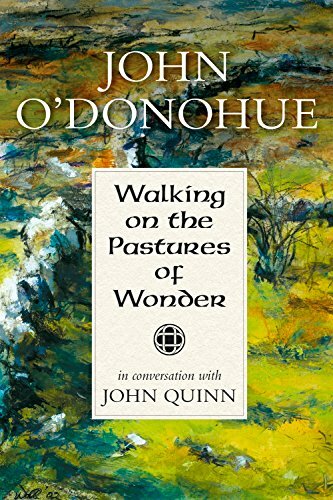 Arguably the most established contemporary spiritual classic by our most profound living religious writer. 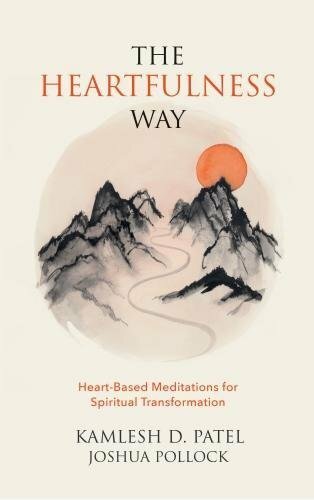 The heartfulness way : heart-based meditations for spiritual transformation by Kamlesh D. Patel, Joshua Pollock. As we manoeuvre the many demands of relationships, career, property and health, we often sense a void, a feeling of alienation from our true selves. Is it possible for one planet to orbit so many suns? We have many centres in our lives, yet where is the true centre, the deepest centre that lies at the core of every heart? Ensconced in India s ageless oral tradition, Kamlesh D. Patel widely known as Daaji, the fourth guru in the Heartfulness lineage traces a seeker s journey as he examines the nature of spiritual search. The author, His Divine Grace A.C.Bhaktivedanta Swami Prabhupada, is recognised by scholars and spiritual leaders worldwide as the most distinguished teacher of Vedic culture and philosophy of the modern age. In these 31 fascinating essays, talks, and informal conversations, he reveals how the ancient Vedic literature and it's techniques of mantra meditation can help us resolve all personal and social conflicts, come to a state of permanent peace and happiness, and satisfy the soul's timeless thirst for perfection. In Living in the Light, Shakti Gawain introduced a powerful new way of life: that of listening to one's own intuition and relying on it as a guiding force. In the newly revised edition of that classic work, she elaborates on her original ideas, adding aspects of her own experiences and learning process over the past twelve years. Walking on water : reaching God in our time by Anthony de Mello ; edited by Gabriel Galache. Drawing on stories of monks, rabbis, and soldiers; fairy tales and legends; gentle jokes and Zen sayings; Anthony de Mello awakens us to a practical, direct connection with the divine. His exercises encourage a relinquishing of the ego, an acceptance of people as they are, and a freedom from fear and anxiety. The wisdom of no escape : how to love yourself and your world by Pema Chödrön. In The Wisdom of No Escape, bestselling author Pema Chödrön shows us the profound value of our situation of ‘no exit’ from the ups and downs of life. Take the natural path to mental wellness More than 25 million Americans are treated with antidepressants each year, at a cost in excess of $50 billion. But the side effects of popular prescription drugs may seem nearly as depressing as the symptoms they are meant to treat. Veteran yoga instructor Amy Weintraub offers a better solution—one that taps the scientifically proven link between yoga and emotional well-being as well as the beauty of ancient approaches to inner peace.